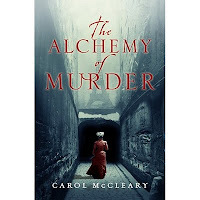 Saturday, March 27 at 12:00 p.m.
Carol McCleary's new historical fiction book called "The Alchemy of Murder" is just in time for Women's History Month! It features America's first female investigative journalist, Nellie Bly. Come and meet the author of this tantalizing tale!